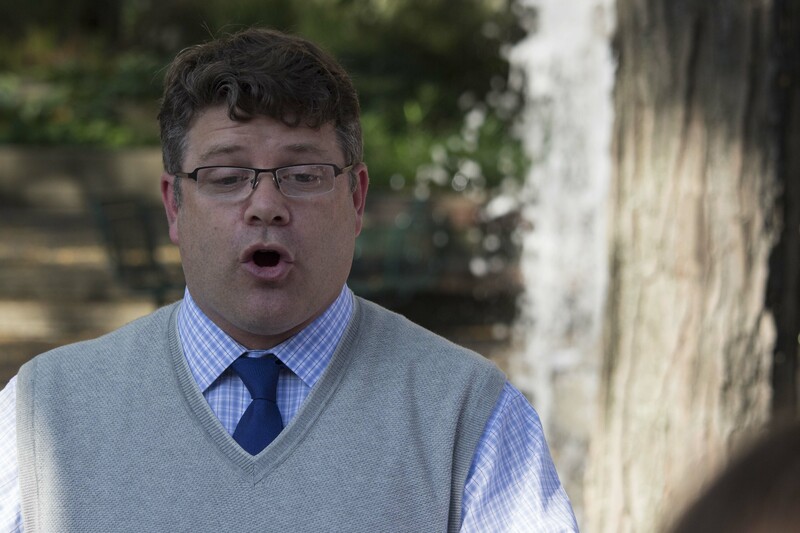 Actor and political campaigner Sean Astin approached the Youngstown State University campus fountain to chants of “Rudy, Rudy, Rudy.” He answered the chants by reciting the famous speech former Notre Dame coach Knute Rockne gave in 1928 – as he had in the film. 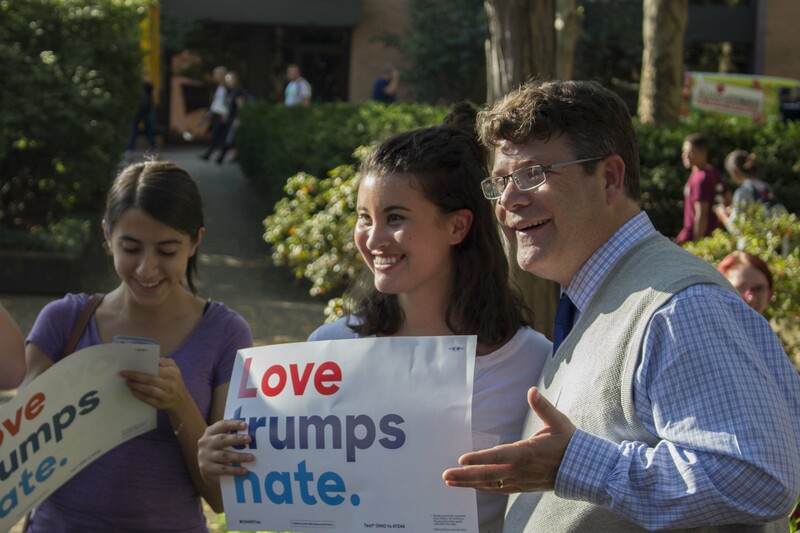 Astin, of “Goonies,” “Rudy” and “The Lord of the Rings” trilogy fame, visited YSU to campaign for democratic presidential candidate Hillary Clinton and to register voters. 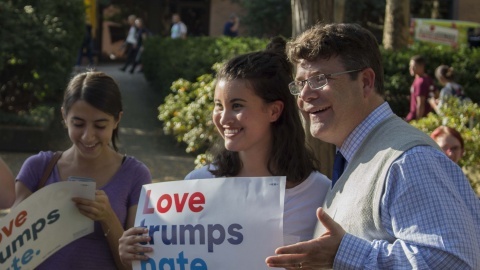 Astin’s devotion to the nominee started when he spoke at a political conference in Boulder, Colorado to a crowd of 15,000 during her husband Bill’s presidential campaign in 1992, while she was first lady of Arkansas. He said the experience was electrifying. 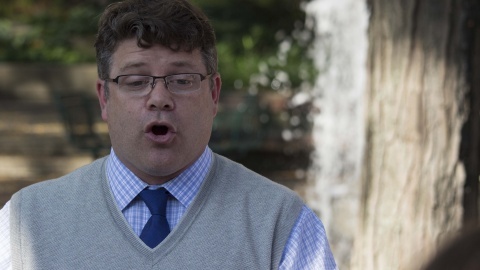 Since then, the actor has been pro-Clinton, also campaigning for her during the 2008 election. Most of his speech went into greater detail about his feelings toward the nominee and vouched for her experience. The YSU College Democrats made rounds at the fountain, asking attendees whether they’re registered to vote, and if they’d like to volunteer for Clinton’s campaign. Astin is headed to Pennsylvania to continue campaigning for Clinton. Math education major Jacquelyn Chapman, wearing a “Lord of the Rings” shirt and the ring around her neck, expressed a great deal of excitement about meeting an actor from her favorite movies. YSU student Dylan Bowser attended the event to hear Astin talk about Clinton. Chelsea Clinton, Hillary and Bill Clinton’s daughter, and Academy Award-winning actor Sally Field will speak Saturday at the YSU Community Room in the Covelli Centre.